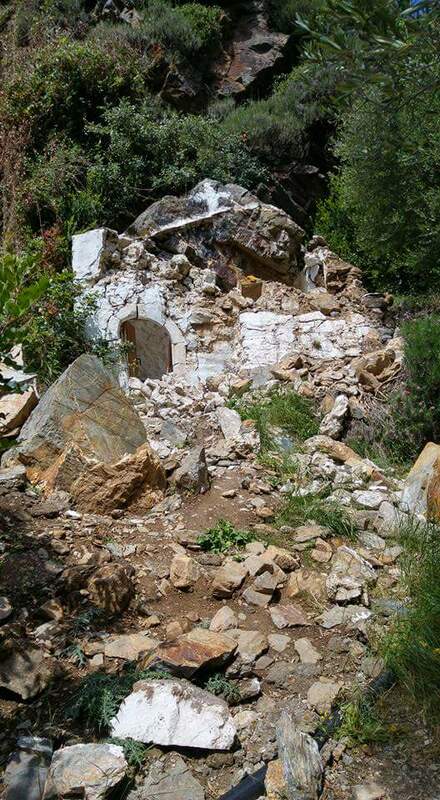 The pretty little Chapel near the old mill on the Plakias to Myrthios walk has been destroyed by a rockfall sometime around early Spring. So hope it is rebuilt but cannot replace what has been lost. Photographs courtesy of Mary Stevenson. I saw the photos only yesterday, can't believe its been destroyed. So sorry to learn of this. I have visited this church every year for 17 years. A special place. Oh what a shame, I wonder if it can or will be repaired ? 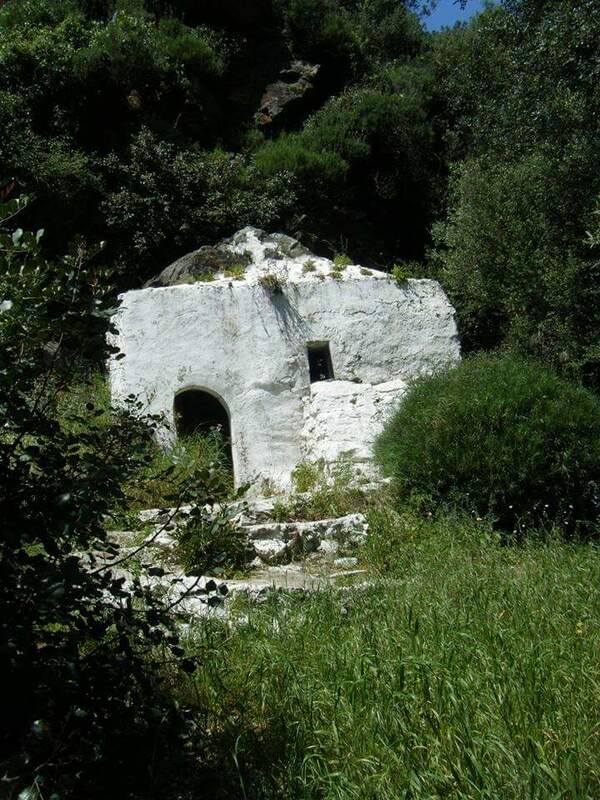 That's such sad news - we have always called in for a moment's quiet on our walks up to Myrthios. What a pity! Always one of the places to visit when we are around. Went past the church yesterday, and it's good to see work has started on rebuilding it. We saw the new stone which was been left as near as possible at the end of the small dirt track, so presume they then have to manually carry them around the rocky part by the river to actually reach the church..
Really good news. Thanks Pimo. Arrived back earlier this week after another wonderfull 2 weeks in Plakias. The little church is now rebuilt and decorated and waiting for the church fittings and artefacts. ( I have photos but having difficulty attaching them even after zipping.). We would like to thank Alan & Margaret for the entertaining late night chats and hope they had a good journey home.